Be sure to tune in to the stakes action over the weekend. Starting on Thursday, six different Virginia-breds will be lining up in stakes races across the country. The holiday weekend kicks off on Thursday when the Audley-bred Angel of Mercy contests the 6-furlong Beautiful Day Stakes at Delaware Park. The 3-year-old filly, trained by Graham Motion and owned by Huckleberry Farm, is by First Samurai and out of the Yes It’s True mare Midtown Miss. 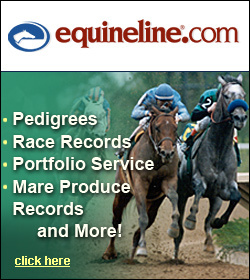 The bay broke her maiden in a MSW at Pimlico in May and returned with another win in an allowance at Delaware later that month, before putting in a fourth-placed effort in the Jostle Stakes at Parx last out. The 8-1 morning line choice will break from the 7-hole. Post time for the seventh race is 3:57 PM. On Friday, all Virginia eyes will turn north. In the ninth race at Belmont, the mile-long Perfect S. Stakes, Champion Virginia-bred Older Female Embarr will enter the 10-hole at 30-1 morning line. Owned, bred and trained by Susan Cooney, the 6-year-old is coming out of a fourth-placed finish in the Grade III Mint Julep Handicap at Churchill Downs. 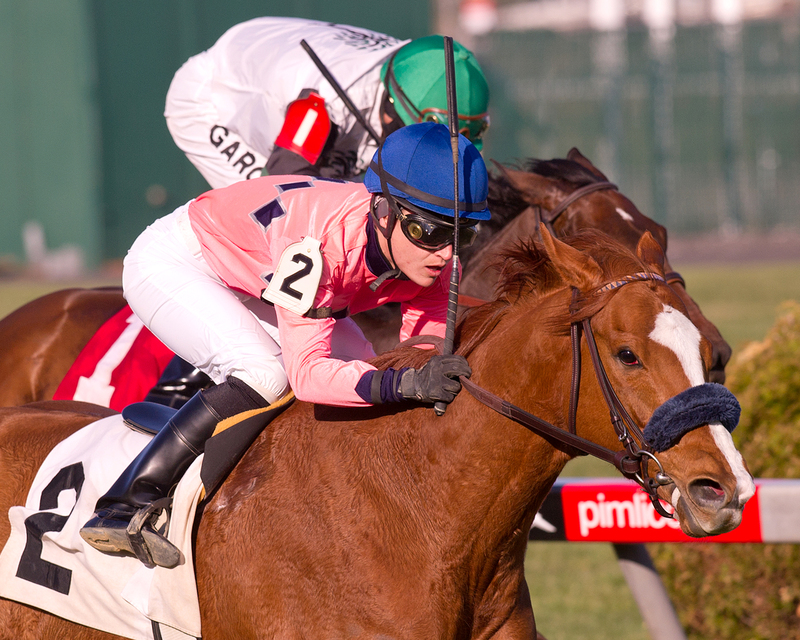 She won the Dahlia Stakes at Pimlico in April for the second back-to-back year, adding to her two victories in the Brookmeade Stakes at Colonial Downs. By Royal Academy out of the The Deep (Ire) mare In Too Deep, Embarr will go to post for a 7:08 PM start. Embarr tied for 2012 Virginia-bred Champion Older Mare. In the 10th race at Monmouth, the Larry Johnson-bred Hard Enough and the Edward Evans-bred Joe Tess will meet in the mile turf Elkwood Stakes. 2013 Champion Virginia-bred Turf Horse Hard Enough is trying to bounce back from a 10th-place finish in the Grade II Monmouth Stakes. He won the Grade III Red Bank Stakes in May, adding to his 2013 stakes victories in the Jersey Derby and the Restoration, and beating multiple graded stakes winner Slim Shadey in the process. By Hard Spun out of the Mr. Greeley mare Grecian Wings, Hard Enough is owned by Peace Sign Stable and trained by Bobby Dibona. He breaks from the ninth post position at 5/1 morning line. 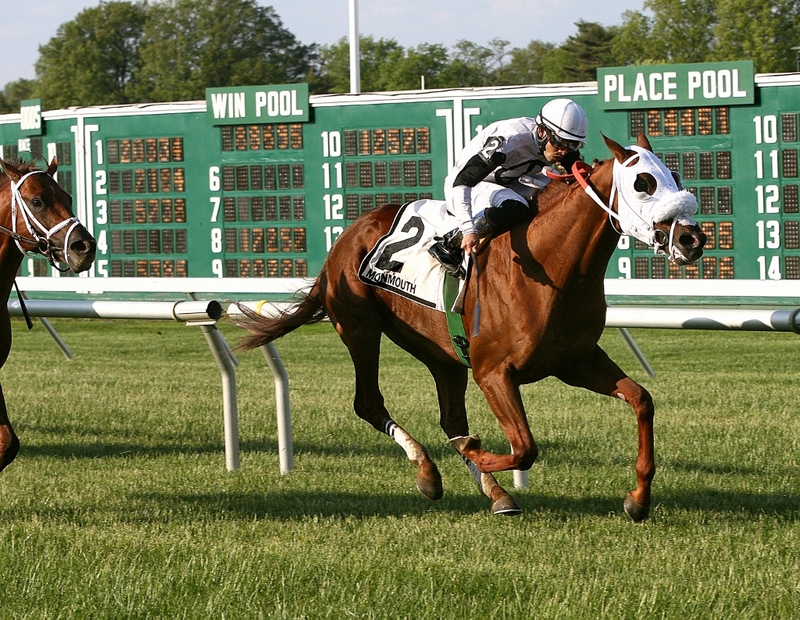 Virginia-bred Hard Enough winning the Grade III Red Bank S. Photo courtesy Equi-Photo. Joe Tess hopes to improve on his second-placed finish in his stakes debut in May, the Decathlon Stakes at this oval. Out of the money only once in a seven-start career (in his debut), the 4-year-old won an allowance here June 15 by 3 1/4 lengths. Trained by Derek Ryan and owned by Stonestreet Stables and George Bolton, the Macho Uno gelding is out of the Gold Fever mare Forty Moves. He breaks from the outside post position at 6/1 morning line. Post time is at 5:20 PM. On Saturday, two more Virginia-breds will square off in the sixth race at Gulfstream Park. The Pasaena Stakes, over 6 1/2 furlongs, will pit the Lazy Lane-bred Centrique against Carolyn Nicewonder Beverly’s Quiet Hour—both now owned by Miller Racing and trained by Marty Wolfson. Centrique, a 5-year-old daughter of Malibu Moon, turned in back-t0-back victories this winter, winning the Glass Slipper Stakes and an allowance at this venue. She was most-recently third in the Nancy’s Glitter Handicap at Calder, and in February placed in the Grade II Barbara Fritchie Handicap. Centrique is out of the Sky Classic mare Penny Marie and boasts 10 victories out of 34 starts and over $400,000 in earnings. She will break from the 7-hole. 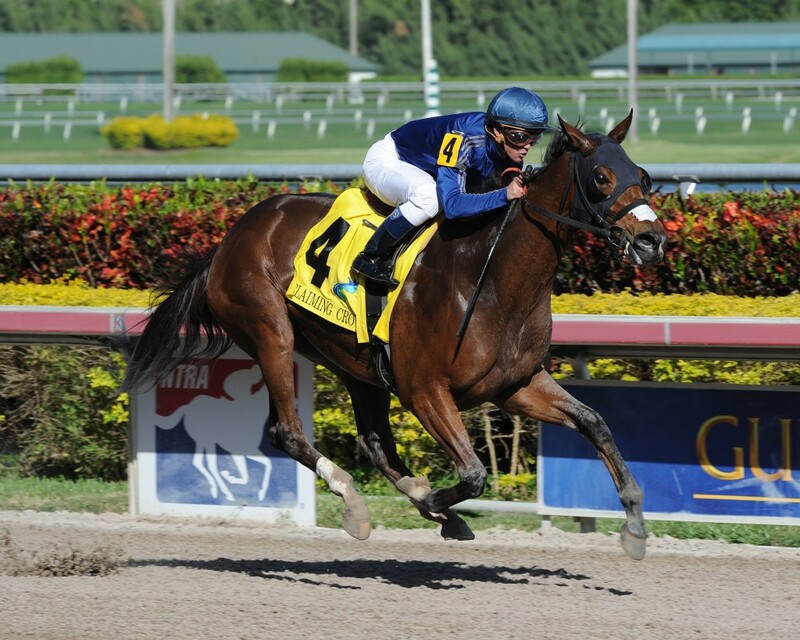 Virginia-bred Centrique winning the $110,000 Glass Slipper at Gulfstream in January. 4-year-old Quiet Hour is more lightly-raced, with three victories out of nine lifetime starts. Those three victories were a hat-trick this winter, including a maiden at Calder and an allowance and a claimer at Gulfstream. Sixth last out in the Dashing Beauty Stakes at Delaware, Quiet Hour is by Quiet American out of the Salt Lake mare Gone to Utah. She takes up the rail post position. 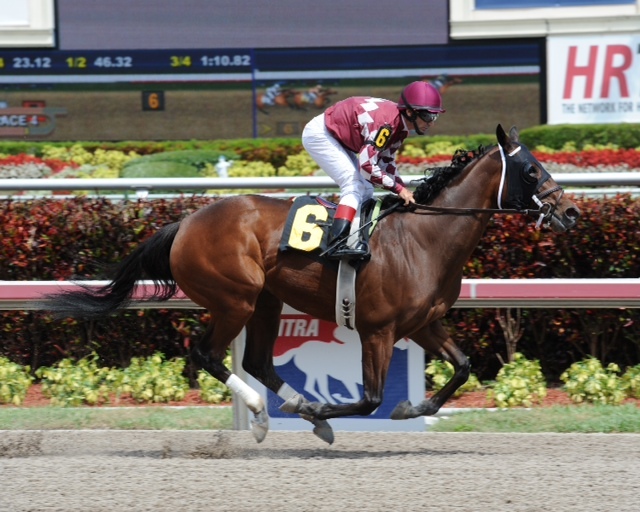 Virginia-bred Quiet Hour, bred by Carolyn Nicewonder Beverly, pulled a hat trick in a Gulfstream allowance on March 30. Photo courtesy Adam Conglianese. Post time is 4:00 PM.